What would you do if you found yourself in a strange place and the only thing you were sure of was that you were dead? Evelyn knows that she has just died but she can't remember anything else about her life. She is in an empty space, void of any colors, shapes or sounds. Just when she thinks she will go crazy, she meets Adrian. Adrian is a man-like creature who tells her that he will be her guide in this after-life. He will help her to capture every emotion that she ever felt in life so that she can move on from this place. The more Evelyn learns about herself, the more she learns about Adrian. She soon realizes that Adrian is not who she thought he was. In the end, she must make a choice: forgive those who hurt her the most, or stay trapped in the empty place forever. About the Author: Hi guys! 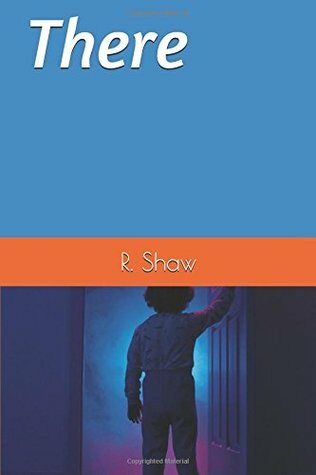 My name is R. Shaw and I love writing! My debut novel There is available now on Amazon for Kindle. Or if you are like me and enjoy the feel of a real live book in your hands, you can also buy the printed version! In addition to my love for reading and writing (and all things books!) I also enjoy spending time with my family. I enjoy traveling with my husband and 2 kids. I have a Master's degree in Education and when I am not writing or traveling, you can find me in the high school classroom teaching Spanish. Notes and Opinions: I was hooked with the first sentence. You go through Evelyn's life with her after her death and learn what has made her who she is. You learn the affects of a death of a child and how to heal emotionally. There are many twists and shocking moments! So be emotionally prepared for this book to basically tear your heart out and tape it together again.